Pull on rigger boot crafted with a full grain leather upper. Internal breathable waterproof membrane keeps feet dry. 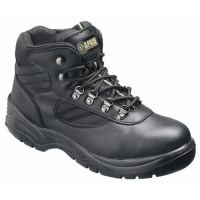 Steel toe and midsole protection. Moulded back support and padded ankle area. Textured protective toe guard. Moisture wicking lining. Removable memory foam footbed. Cushioning and energy rebounding phylon midsole. 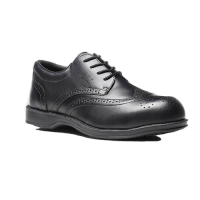 Rugged heat resistant traction rubber outsole. 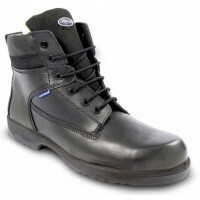 Steel toe and midsole protection.